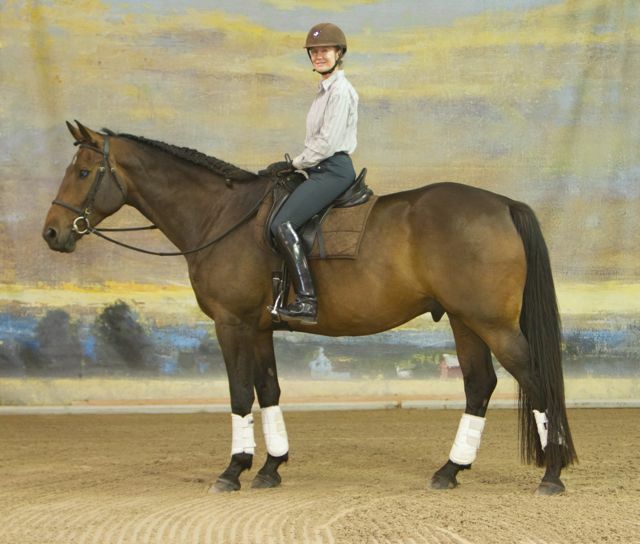 Karin began concentrating on dressage after a long career from coast to coast in the United States with hunters and jumpers and western. Her trainers included Three-Day Event rider/trainer Jonas Irbinskas, West Coast Horsemen – Jimmy Williams and Ken Nordstrom, Equitation/Hunter trainer – Richard Keller, Hunter and Jumper Champion Rider– Jimmy Kohn, Equitation Medal and Maclay trainer – Ronnie Mutch, Hunter Rider extraordinaire – Patricia Heuckeroth and Jumping Coach Legend Carl Knee. Karin began teaching Riding in upstate New York at Primrose Farm in Somers, New York. 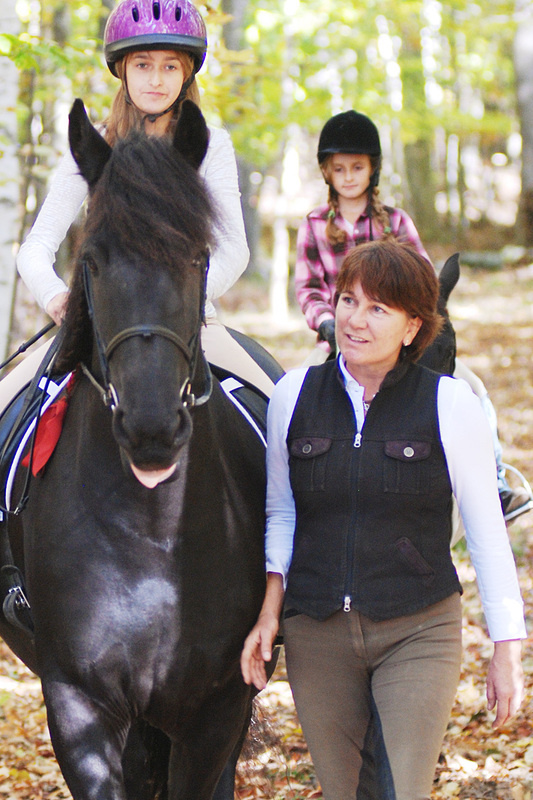 Her interest in teaching continued in riding schools she began in Aspen, Colorado and in Sedona, Arizona where she taught juniors and adults and she created successful working student programs. Throughout the years from trail rides to roping, team pennings and cutting horse sport to reining lessons – all forms of western riding were part of Karin’s western horse history. While attending the roping events from California to OKC, Karin found young stock to bring along on the road to train. Karin’s Dressage interests began at her El Rojo Grande Ranch in Sedona where she competed through each of the levels from the Introductory Level on pintos, paints and quarter horses on up to FEI Dressage levels, climbing the competitive ladder step by step to riding, eventually showing and owning the renown hunter breeding stallion Alla C’Zar, Olympic British reserve horse Tiamo Trocadero, International Dutch ‘B’ team’s Hexagon’s Louisville and eventually purchasing and riding the world famous Lingh in CDI International Grand Prix in the United States and Europe. She has achieved her Bronze, Silver and Gold Medal in dressage from the USDF. 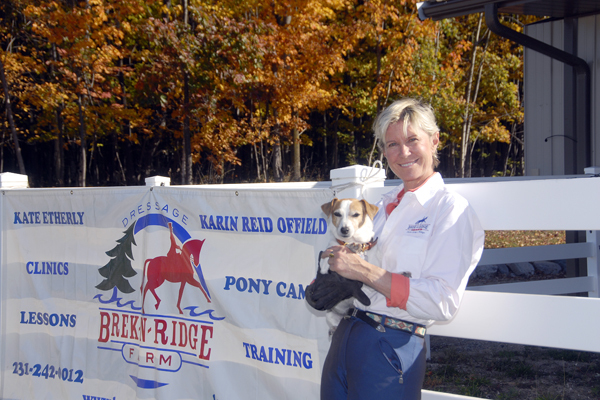 Karin won regional dressage championships, including four USDF Regional Championships at FEI level. Karin began training with Mike Etherly, Steffen Peters and Michael Poulin. In 2005 Karin started training with Robert Dover on the finesse and details of Grand Prix. Her competitive years in Europe included training with Dutch Champion and three-time Olympic Gold Medal winner – Anky Van Grunsven, Belgium rider/trainer Jan Bemelmans, German success Claudia Haller of Gut Mullershof, the Swedish Chef D’Equipe of Dressage and master Long Liner Bo Jena and Scott Hassler. Her friendship with JJ Tate allows Karin to stable and work with her in the winters in Wellington. Clinics with Maryal Barnett, Egon von Neindorff, retired Olympic ‘O’ Judge and Belgium Dressage Team Trainer Volker Moritz, USA Team rider Debbie McDonald, USA Team rider Tina Konyot, USDF Certified Instructor Heather Bender, Dietrich von Hopfgarten and Claus Bergner have added to Karin’s education. Brek-n-Ridge Farm in Harbor Springs, Michigan provides a safe, clean and beautiful environment for horses and riders. Join us for clinics and training. 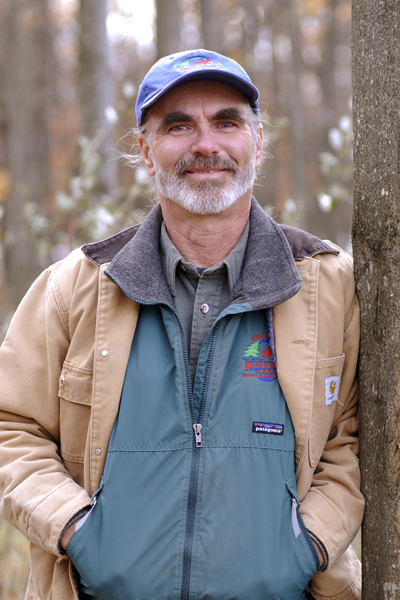 Greg Last – Retired Farm Manager Greg was the grounds manager of Brek-n-Ridge and responsible for keeping the farm in top shape. He worked with Karin for over 17 years and is a “jack of all trades”. ” There is nothing that Greg cannot accomplish. No matter how large or small a project, Greg is able to create, fix, finish and do it all in good humor with skill. 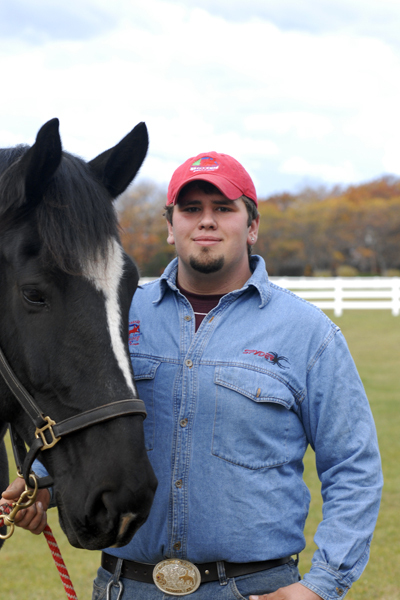 He is the reason our farm is safe for horses. With his departure we have large shoes to fill.